1. Is my story timely? Just like a Christmas tree recycling story won’t fly in July, a press release that deals with old news isn’t going to cut the journalistic mustard. Know lead times. If you want your Veteran’s Day story in a magazine, you will likely have to send your release months in advance. For newspapers and broadcast, editors and producers will usually still need a couple of weeks lead time unless your press release deals with breaking news. 2. Is geography on my side? The opening of an innovative new small business in Small Town, Indiana may not make national headlines, but local and regional media outlets are always on the look out for a “local kid makes good” story. Always check the geographic angle. If the dashing young inventor you’re profiling grew up in one state, went to school in another, and now lives and works in another, pitch to all three areas. The same goes for a product that may be manufactured in one place and sold in another. Just because a story is not national news doesn’t mean that it can’t garner quite a bit of local press. 3. Will this story appeal to the masses? While a story about a $2,000 car will appeal to millions, a story about a brand new aerodynamic knitting needle is only going to appeal to knitters. Ask yourself if your story has wide appeal. Even if it doesn’t, if you can pinpoint your target audience, you are in luck. There is probably a media outlet out there with the exact same target. 4. Does my story deal with a hot topic? Ten years ago when the economy was booming nobody was puzzling too hard over ways to save on their power bill. Back then, your energy-saving hot water heaters might have interested plumbers, contractors, die-hard environmentalists and nobody else. Now though, “green” topics are in the news. 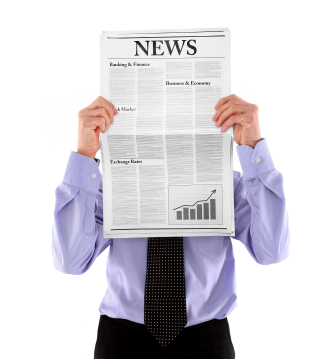 Read widely to discover trends and tailor your press release accordingly. While you may have once simply announced a new line of hot water heaters, now you can get attention by touting their “green” properties. 5. Does my story connect emotionally with readers? You can be sure that very few Americans were following “Britain’s Got Talent” until the YouTube clip of Susan Boyle singing “I Dreamed a Dream” surfaced and garnered over 60 million views and counting. Something about Boyle connected emotionally with readers, and if your story has the same emotional resonance, you are in luck. Perhaps you are announcing a new medical procedure. Connect emotionally with the audience by relating the tale of an against-all-odds underdog who beat cancer after undergoing the new procedure. Editors, producers, journalists and the public are, after all, only human. If the story tugs are your heart strings, chances are it will tug at theirs, too. If you can answer “yes” to one of these questions, then you have the makings of a newsworthy press release. If you can answer yes to all 5 of them, then what are you waiting for? Distribute that release right now and wait for the calls to start rolling in.